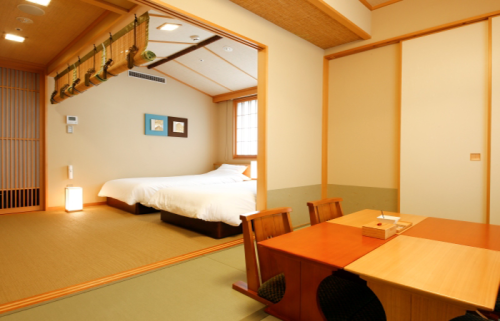 An inn at the tourist spot of Mount Arashi (Arashiyama), which is about 30 min from Kyoto Station. 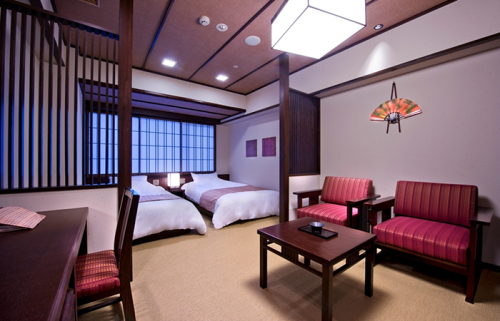 This ryokan has a strong traditional Japanese ambiance while at the same time providing modern comforts. 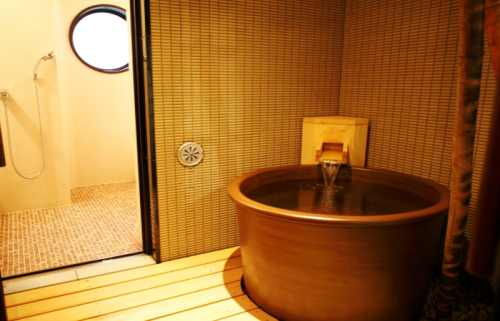 With five types of private-use baths. 15 min by JR train from Kyoto Station. 50 min by JR/Hankyu train from Osaka Station. 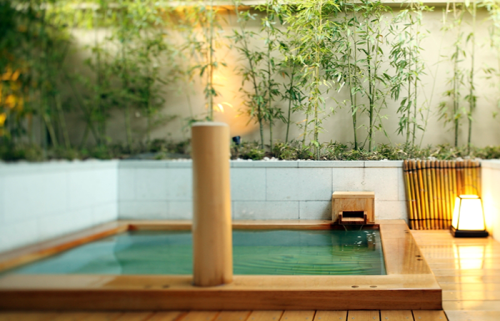 Kyoto Arashiyama Onsen Kadensho is a luxurious Kyoto-style spa inn with an authentic Kyoto-style atmosphere. 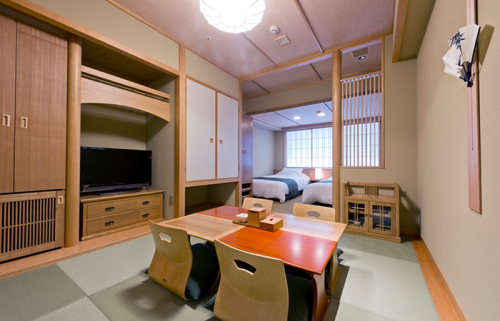 The lobby, hall way, and guest rooms are all floored with pleasant tatami mats. 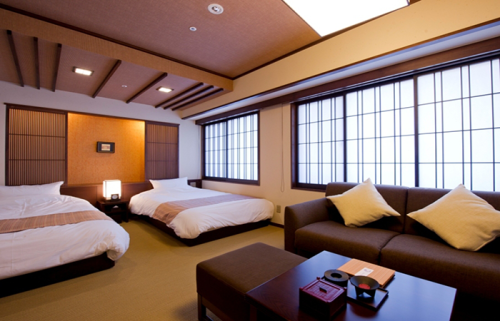 The upscale guest rooms are available in three styles: Kyoto house, Kyoto-style, and Modern Kyoto style, all of which are tastefully designed and varying in the amount of modern blend. 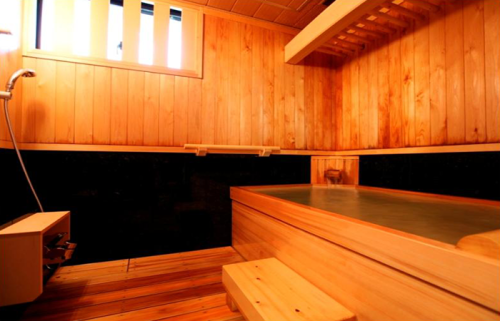 The inn has two large public baths, 5 private baths, as well as napping areas, stores, and a bar. 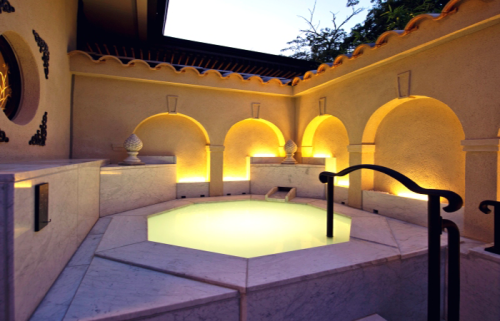 The hot spring baths are also not to be missed, from the indoor and open-air communal spas to the free-to-use private baths, each with its own charm. From Tokyo, take Tokaido Shinkansen bullet train to Kyoto Station. Transfer to the subway Karasuma line for Shijo Station. From Shijo Station, walk to Karasuma Station of Hankyu railway Kyoto line. 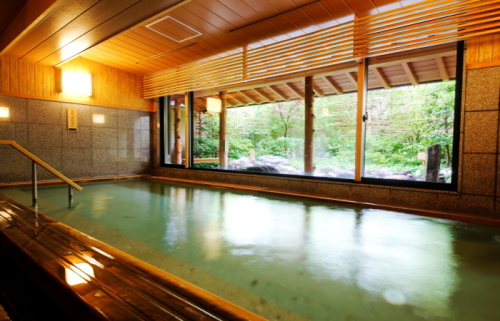 After you arrive at Katsura Station, take Arashiyama line of Hankyu railway to Arashiyama Station. 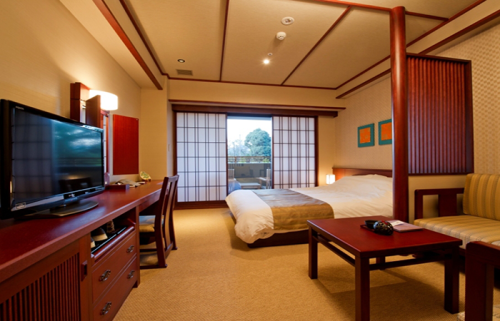 Our hotel is 1 min walk from Arashiyama Station. 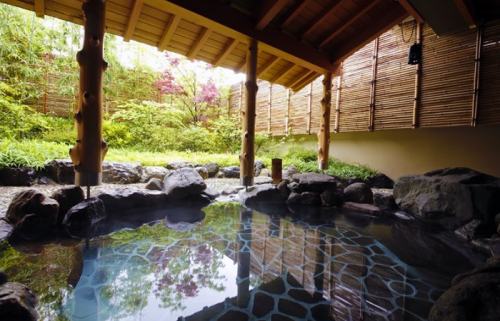 Located in Arashiyama, this ryokan is 0.3 mi (0.5 km) from Togetsukyo Bridge and within 3 mi (5 km) of Saihoji Temple and Katsura Imperial Villa. 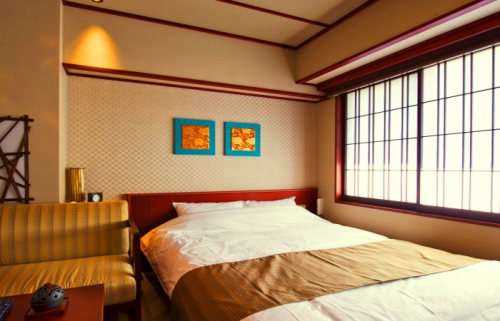 Arashiyama Monkey Park and Iwatayama Monkey Park are also within 15 minutes. More than 150 years producer of Japanese miso and miso products – Marukome Co., Ltd.